A Dallas hunting club asked airlines that have banned certain big game hunting trophies from their planes to reconsider, calling their decision "ill informed." The request was made Tuesday by the Dallas Safari Club, which caused an outcry in 2014 when it auctioned off a hunt for an endangered black rhino for $350,000. The money was to be used for conservation, the club said. United, Delta, American Airlines and Air Canada announced they will no longer carry the big game trophies in the wake of public outrage over the illegal killing of Cecil, an African lion. 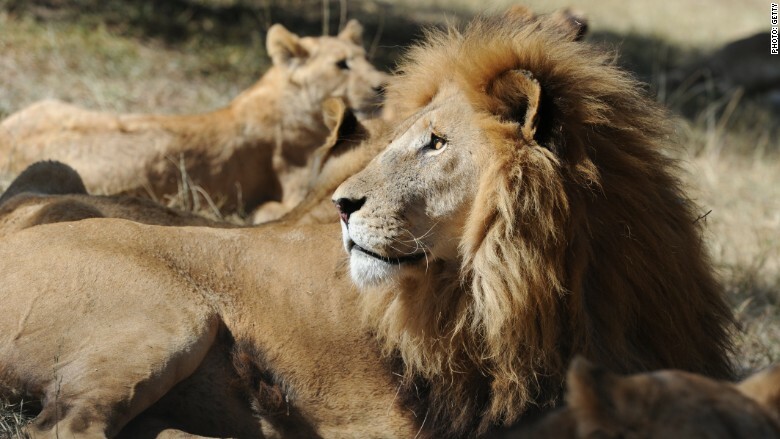 The airlines said their bans also apply to animals hunted legally. The DSC's statement quoted DSC Executive Director Ben Carter saying, "Legal hunting for these species is a conservation tool that sustains and enhances, not threatens, populations of these animals." The DSC said populations of endangered animals are increasing "thanks for conservation measures that include selective hunting." The group said in a press release that the airlines' decision to ban the carcasses of lions, leopards, elephants, rhinos and buffalo is "arbitrary" because transporting game is already adequately monitored by the Convention on International Trade in Endangered Species. CITES is an international agreement between several governments, according to its website. The Dallas Safari Club also argued in the press release that the African hunting industry adds as much as $200 million to the economy. Neither CITES, the airlines nor the Dallas Safari Club could be immediately reached for additional comment. Earlier this year, the club planned to auction off an elephant hunt, but canceled it.